Long gone are the days of summer and it’s warm, comforting glow; enter the dreary days of winter coats, knee high boots, scarves and gloves. For a lot of people, the seasonal dip from summer into fall and winter is a tremendously stressful time of year. Not only are the days shorter and darker making it that much more difficult to get out of bed in the morning for work, but the looming potential for seasonal colds and flu’s find themselves seemingly waiting at our doorstep. Fortunately, there are many things you can do to protect your body during the weather change and there’s one particular super vitamin that you’ll want to start including more of in your daily diet. We’re talking of course about Vitamin C.
Vitamin C is known for being a leader in immune protection because it activates the production of white blood cells thereby boosting the immune cells to function effectively, but it has many other benefits that are less talked about that you’ll want to be aware of for the coming months, too. Dry skin is the unfortunate byproduct of living in a cooler low-humidity climate which leads to skin cracks, chapped lips and in more extreme cases, itching and flakiness. While we know our bodies are pros are repairing themselves without our help, we can aid in preventing these symptoms by adding a little more Vitamin C to our diets. Vitamin C helps prevent DNA mutations and gives you skin the extra boost it needs to stay hydrated and disease-free, so we recommend adding an orange to your lunch box for the next little while. Studies show that 1 in 3 people are affected every year by seasonal affective disorder (SAD) and it’s four times more common in women than it is in men. 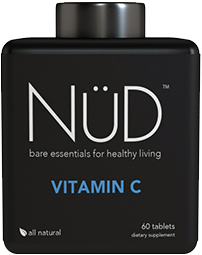 Vitamin C has been shown to decrease anxiety and help minimize the effects of SAD in those prone to it. Add in some extra Vitamin D and E to make sure your brain is getting the necessary vitamins it needs to keep you happy and healthy and you’ll be able to tackle those winter blues head on. It’s touted as a natural remedy to cure constipation, but by making it a regular staple of your diet you’ll ward off those symptoms before they have the chance to develop. 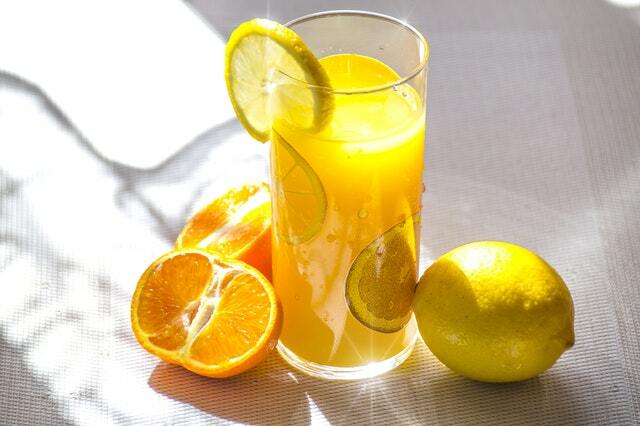 You’d have to consume a large helping in order to trigger an actual bowel movement, so we’re not advocating for chomping down on Vitamin C tablets every chance you get, but rather ensuring your body has the optimal levels of Vitamin C on a daily basis will help keep your digestive tract healthy and functioning they way it should. We mentioned earlier how Vitamin C is known to be a bit of a superhero in the autoimmune department, but it helps many other systems in your body, too. While it might be your best line of defence against cold symptoms, it also protects against prenatal problems, cardiovascular and eye disease. 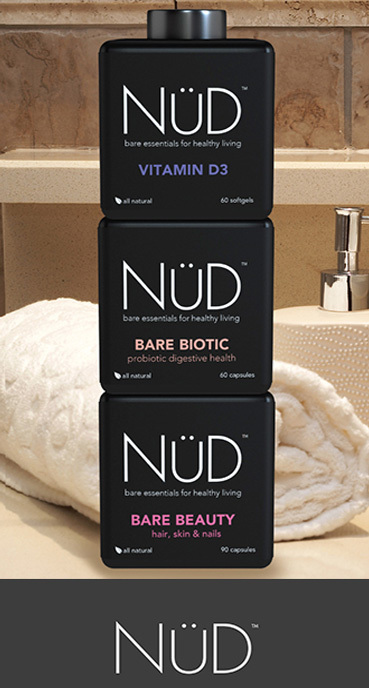 It can be difficult making sure you’re getting all that your body needs even when you’re being extra careful about the nutritional content of your food, so adding a supplement to your daily diet like NÜD Vitamin C to be sure this super-vitamin is keeping an eye on your body is not only the safer option, but a smart one. With the cooler weather comes an increased desire for comfort food, and the holiday treats don’t help! If you’re at all concerned about your blood pressure and you’re looking for a natural way to decrease your levels, Vitamin C might be all you need. In addition to lowering your BP levels, it has been shown to be a fantastic sidekick to your vascular system, lessening your chance of stroke of heart disease. The list of benefits Vitamin C has on your body is endless, and the more we research it, the more we realize how vital this particular vitamin is to our daily diet. So go ahead and gulp down some OJ in the morning, chop up some red peppers and kale for your salad and add some strawberries to your afternoon yogurt bowl – your body will thank you.